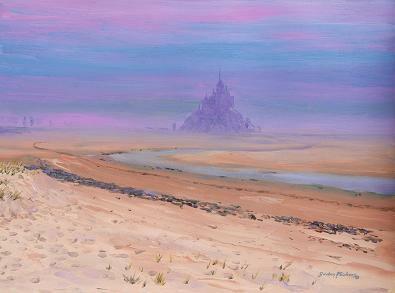 One of an emerging series of “plien air” studies of the amazing North coast of France. The first 3 in the series including this painting have been nabbed by Audrey Hinks at Gallerie Marin, Appledore, Devon. Necessity partly drove Gordon to explore this coast recently, spurred on by several friends urging Gordon to paint this varied and some times wildly dramatic coast.